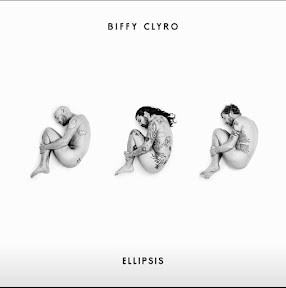 BIFFY Clyro might have got naked for their new album artwork but bassist James Johnston was keen to cover up when he got back to Scotland. The bearded brother loves his tattoos along with the rest of the group and was keen to complete one of his newest designs. As soon as he got back from the States he headed straight to the Lucky Cat tattoo parlour in Glasgow for his latest fix. 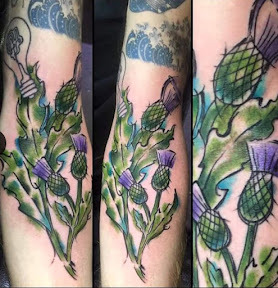 James chose a very fitting watercolour Scottish thistle tattoo by artist Kevin and had been waiting to get it completed. Simon had previously teased the album cover saying: "I think the artwork for this will shock some people"
He and his bandmates James and Ben Johnston are depicted lining up in the foetal position on the cover. Their new song Wolves Of Winter is already gaining rave reviews after being played by Zane Lowe.